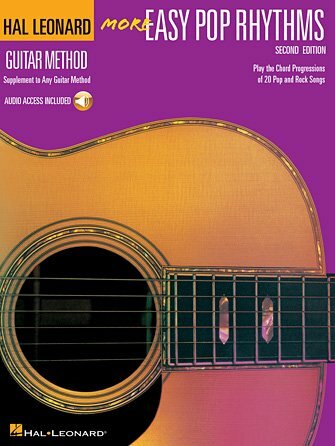 Correlated to work at the Book 2 level, this third edition presents more great songs that students will be eager to play! 20 songs, including: About a Girl • Blitzkrieg Bop • Fire and Rain • Hallelujah • Ho Hey • Lay Down Sally • Losing My Religion • Sweet Home Chicago • Wish You Were Here • Yellow Submarine • You Belong with Me • and more. Also includes access to great backing tracks online so you can sound like a pro while playing along. The accompanying audio features every song recorded by a full band, so you can hear how each song sounds and then play along when you're ready. The audio is accessed online using the unique code inside each book and can be streamed or downloaded. The audio files include PLAYBACK+, a multi-functional audio player that allows you to slow down audio without changing pitch, set loop points, change keys, and pan left or right.